A rollover crash on the Florida Turnpike just north of Fort Pierce closed all lanes for a portion of Saturday morning. ST. LUCIE COUNTY, Fla. -- A rollover crash on the Florida Turnpike just north of Fort Pierce closed all lanes for a portion of Saturday morning. 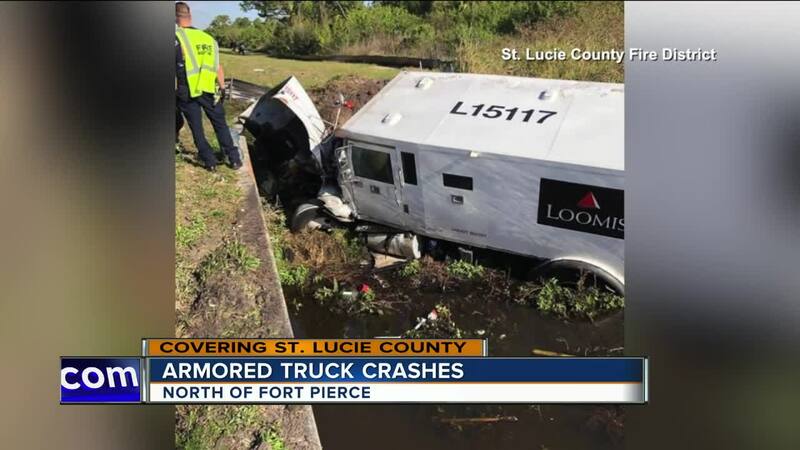 At 9 a.m., St. Lucie County Fire District crews were dispatched to mile marker 156, just north of Okeechobee Road (SR 70) where an armored truck was involved in a multi-vehicle accident. One people was transported by air in critical condition and one person was transported by ground with non-life threatening injuries.